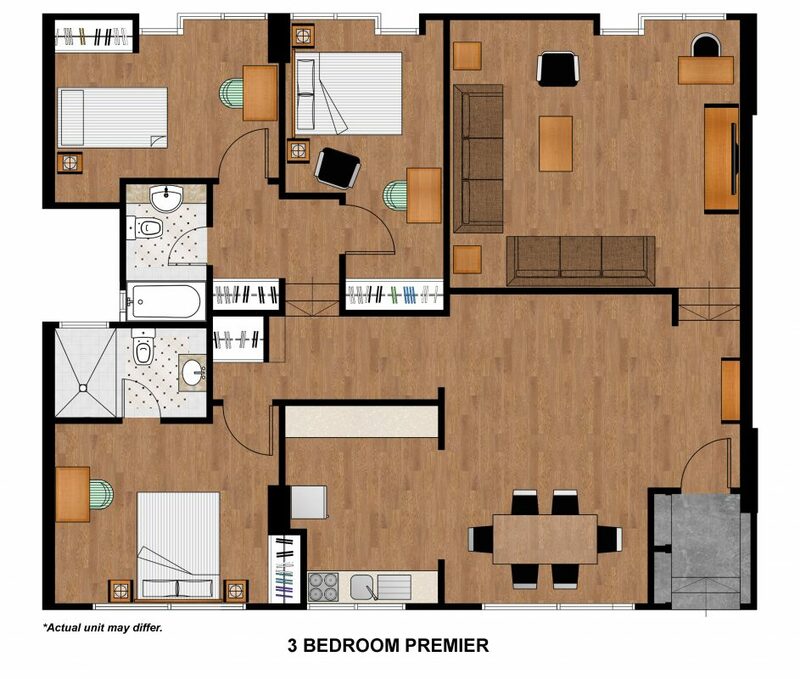 Ideal for a large group or family, the 3-Bedroom Premier features two queen-size beds and a single bed, plush living and dining areas, and a fully equipped kitchen. The residence also offers complimentary wireless Internet connection and air-conditioning for ultimate convenience and comfort. While the residence accommodates five guests, an extra guest can be included with an additional bed.